***EDITOR: The military wing of the Consortium was first formed during World War II in the Office of Strategic Services special operation, Operation Jedburgh. The Jedburgh Teams were the countries first modern elite commandos. They would become connected in Heroin trafficking through the French Resistance, who used the heroin sales to raise money for arms; the heroin was provided by the Spirito-Carbone network through Corsica and Marseilles. 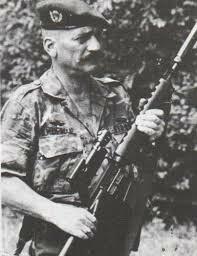 Many of the Jedbergh Team commandos would go on to join OSS China, where they would replicate the narco-terrorism techniques used by the French against the Japanese occupation in Southeast Asia. 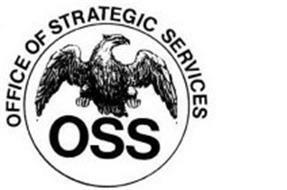 OSS China would become the upper echelon of the newly formed CIA and take control of Southeast Asian heroin. General John K. Singlaub, Colonel Lucien Conein, and Mitch Werbell III were highly trained commando special operatives that could have easily been classified as ‘super soldiers’ in their own right. The three men have pioneered many of the United States advanced special forces techniques and have accolades from numerous wars; they also pioneered narco-trafficking techniques using military and police assets to control drug flows internationally. 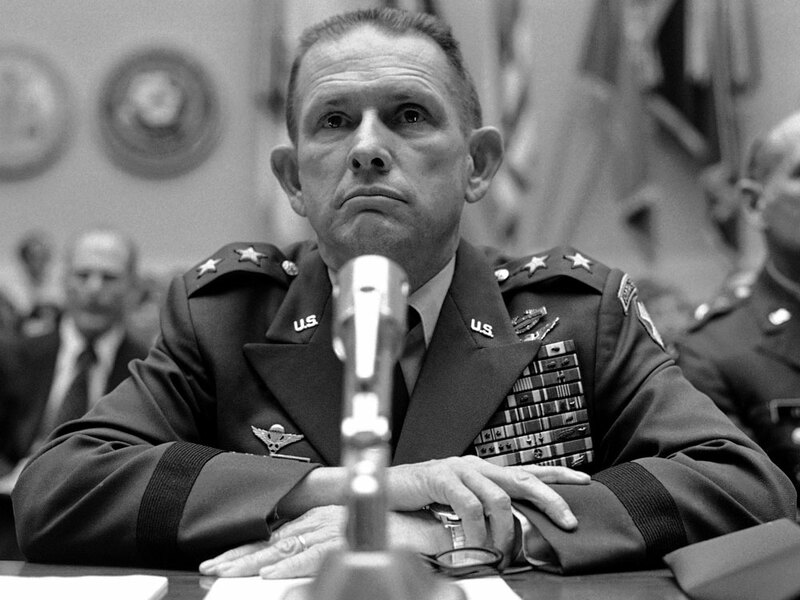 General Singlaub is the primary military of the Consortium, having trained many officers within the military high command of the U.S. Army; Colonel Conein and Mitch Werbell III, a legendary mercenary and global arms dealer, became key architects of the DEA and the Consortium control of the international drugs-arms-cash system. John K. Singlaub was recruited by the Office of Strategic Services (OSS) during the Second World War. He was parachuted into Nazi occupied France as part of Operation Jedburgh and helped to organize the French Resistance before the D-Day invasion. Later he was sent to OSS China where he worked with Ray S. Cline, Richard Helms, E. Howard Hunt, Jake Esterline, Mitchell WerBell, Paul Helliwell, Jack Anderson, Robert Emmett Johnson and Lucien Conein. Others working in China at that time included Tommy Corcoran, Whiting Willauer and William Pawley. Singlaub joined the Central Intelligence Agency (CIA) and he was sent to Manchuria during the Chinese Civil War. In 1951 he became Deputy Chief of the CIA station in South Korea. Later he moved to Laos where he worked closely with Ted Shackley. In 1964 Singlaub became chief of Military Assistance Command Studies and Observation Group (MACV-SOG). This was an unconventional warfare task force that oversaw assassination and paramilitary operations throughout Southeast Asia. MACV-SOG now took over Oplan 34-A from the CIA. Ted Shackley, CIA chief in Laos, reported having monthly meetings with Singlaub. According to one report, Singlaub “oversaw political assassinations programs in Laos, Cambodia and Thailand” (Bill Moyers, Inside the Shadow Government). In 1966 Ted Shackley was placed in charge of CIA secret war in Laos. He appointed Thomas G. Clines as his deputy. He also took Carl E. Jenkins, David Morales, Rafael Quintero, Felix Rodriguez and Edwin Wilson with him to Laos. According to Joel Bainerman it was at this point that Shackley and his “Secret Team” became involved in the drug trade. They did this via General Vang Pao, the leader of the anti-communist forces in Laos. Vang Pao was a major figure in the opium trade in Laos. To help him Shackley used his CIA officials and assets to sabotage the competitors. 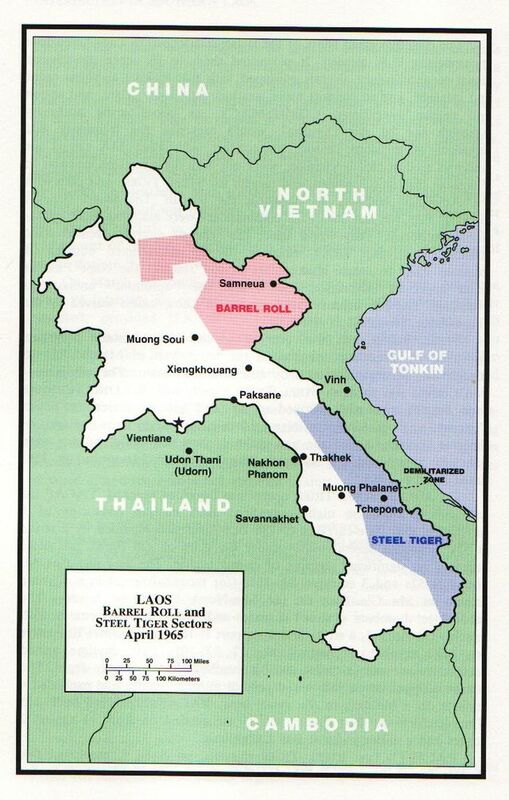 Eventually Vang Pao had a monopoly over the heroin trade in Laos. In 1967 Shackley and Clines helped Vang Pao to obtain financial backing to form his own airline, Zieng Khouang Air Transport Company, to transport opium and heroin between Long Tieng and Vientiane. In 1968 Shackley and Clines arranged a meeting in Saigon between Santo Trafficante and Vang Pao to establish a heroin-smuggling operation from Southeast Asia to the United States. In 1969 Ted Shackley became Chief of Station in Vietnam and headed the Phoenix Program. This involved the killing of non-combatant Vietnamese civilians suspected of collaborating with the National Liberation Front. In a two year period, Operation Phoenix murdered 28,978 civilians. As a specialist in unconventional warfare and covert operations, Singlaub kept a low profile. However, he eventually became chief of staff of the United Nations Command in South Korea. He was forced to resign in May, 1978 after criticizing President Jimmy Carter and his plans to reduce the number of troops in South Korea. According to Peter Dale Scott, ten days before his retirement, Singlaub attended a meeting of right-wingers who “Didn’t think the country was being run properly and were interested in doing something about it”. The meeting was hosted by Mitchell WerBell. Singlaub now joined forces with Ted Shackley, Ray S. Cline and Richard Helms to get Jimmy Carter removed from the White House. In December, 1979, Singlaub and retired General Daniel Graham headed a delegation from the American Security Council, a private right-wing organization, on a trip to Guatemala. Singlaub pointed out that Ronald Reagan “recognizes that a good deal of dirty work has to be done” in order to destroy communism in Guatemala. 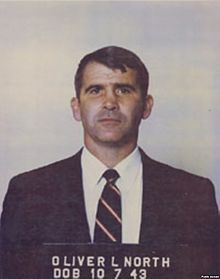 “death squad activity in Guatemala increased dramatically following the trip.” Upon his return to the United States Singlaub called for “sympathetic understanding of the death squads” (The Iran Contra Connection: Secret Teams and Covert Operations in the Reagan Era). Singlaub returned to Guatemala in 1980. This time he went with General Gordon Sumner of the Council for inter-American Security. Singlaub again took a message from Ronald Reagan who was now campaigning for the Presidency of the United States. Singlaub told his audiences that “help was on the way in the form of Ronald Reagan”. In a speech in San Diego, Singlaub argued: “I am convinced that our struggle with Communism is not a spectator sport. as a result of that view, we have opted for the court of action which calls for the provision of support and assistance to those who are actively resisting the Soviet supported intrusion into Africa, Asia and North America. The geographic regions of WACL must not only provide support to the freedom fighters who are engaged in combat in their own region, but they must develop plans of action to support the resistance movements in other regions of the world.” Over the next few months committees were established to determine the needs of anti-communist resistance movements in Angola, Mozambique, Ethiopia, Laos, Cambodia, Vietnam, Nicaragua, and Afghanistan. Singlaub enjoyed a good relationship with Ronald Reagan and in 1982 USCWF was granted tax-exempt status by the Internal Revenue Service. Singlaub had to give an undertaken that “at no time will the USCWF ever contemplate providing material or funds to any revolutionary, counter-revolutionary or liberation movement”. Soon afterwards Singlaub helped establish a company called GeoMiliTech Consultants Corporation (GMT) a Washington-based arms trading company. In 1984 it is believed that Singlaub organized a shipment of weapons, ammunition and C-4 explosives to the Contras (Moyers). In October, 1985, Congress agreed to vote 27 million dollars in non-lethal aid for the Contras in Nicaragua. 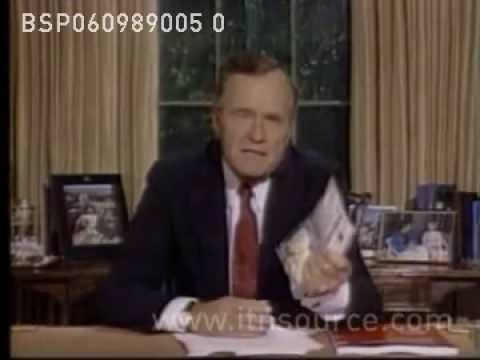 However, members of the Ronald Reagan administration, including George Bush, decided to use this money to provide weapons to the Contras and the Mujahideen in Afghanistan. Gene Wheaton was recruited to use National Air to transport these weapons. He agreed but began to have second thoughts when he discovered that Richard Secord was involved in the operation and in May 1986 Wheaton told William Casey, director of the CIA, about what he knew about this illegal operation. Casey refused to take any action, claiming that the agency or the government were not involved in what later became known as Irangate. Wheaton now took his story to Daniel Sheehan, a left-wing lawyer. Wheaton told him that Thomas G. Clines and Ted Shackley had been running a top-secret assassination unit since the early 1960s. According to Wheaton, it had begun with an assassination training program for Cuban exiles and the original target had been Fidel Castro. Wheaton also contacted Newt Royce and Mike Acoca, two journalists based in Washington. The first article on this scandal appeared in the San Francisco Examiner on 27th July, 1986. As a result of this story, Congressman Dante Facell wrote a letter to the Secretary of Defense, Casper Weinberger, asking him if it “true that foreign money, kickback money on programs, was being used to fund foreign covert operations.” Two months later, Weinberger denied that the government knew about this illegal operation. Singlaub agreed to divert press attention away from the activities of George H. W. Bush, Oliver North, William Casey, Donald P. Gregg, Robert Owen, Felix Rodriguez, Rafael Quintero, Ted Shackley, Richard L. Armitage, Thomas G. Clines and Richard Secord. He gave several interviews where he admitted raising money for the Contras. This included an article in Common Cause where he claimed he had raised “tens of million of dollars… for arms and ammunition”. This money was raised via the World Anti-Communist League. Most of this money came from the governments of Taiwan, South Korea and Saudi Arabia. As the U.S. Neutrality Act bans a private American organization from supplying weapons to foreign groups, Singlaub established a secret overseas bank account to collect this money. On 5th October, 1986, a Sandinista patrol in Nicaragua shot down a C-123K cargo plane that was supplying the Contras. That night Felix Rodriguez made a telephone call to the office of George H. W. Bush. 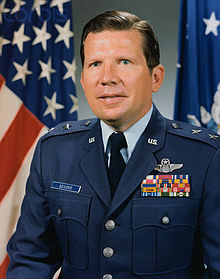 He told Bush aide, Samuel Watson, that the C-123k aircraft had gone missing. Eugene Hasenfus, an Air America veteran, survived the crash and told his captors that he thought the CIA was behind the operation. 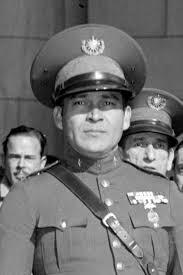 He also provided information that several Cuban-Americans running the operation in El Salvador. This resulted in journalists being able to identify Rafael Quintero, Luis Posada and Felix Rodriguez as the Cuban-Americans mentioned by Hasenfus. In an article in the Washington Post (11th October, 1986), the newspaper reported that George Bush and Donald P. Gregg were linked to Felix Rodriguez. It gradually emerged that Singlaub, Richard L. Armitage, William Casey, Thomas G. Clines, Oliver North, Edwin Wilson and Richard Secord were also involved in this conspiracy to provide arms to the Contras. On 12th December, 1986, Daniel Sheehan submitted to the court an affidavit detailing the Irangate scandal. He also claimed that Thomas G. Clines and Ted Shackley were running a private assassination program that had evolved from projects they ran while working for the CIA. Others named as being part of this assassination team included Rafael Quintero, Richard Secord, Felix Rodriguez and Albert Hakim. It later emerged that Gene Wheaton and Carl E. Jenkins were the two main sources for this affidavit. Six days after the publication of Sheehan’s affidavit, William Casey underwent an operation for a “brain tumor”. As a result of the operation, Casey lost the power of speech and died, literally without ever talking. On 9th February, Robert McFarlane, another person involved in the Iran-Contra Scandal, took an overdose of drugs. In November, 1986, Ronald Reagan set-up a three man commission (President’s Special Review Board). The three men were John Tower, Brent Scowcroft and Edmund Muskie. Richard L. Armitage was interviewed by the committee. He admitted that he had arranged a series of meetings between Menachem Meron, the director general of Israel’s Ministry of Defence, with Oliver North and Richard Secord. However, he denied that he discussed the replenishment of Israeli TOW missiles with Meron. According to Lawrence E. Walsh, who carried out the official investigation into the scandal (Iran-Contra: The Final Report): “By the spring of 1985 it became clear that Congress would not rescue the Contras any time soon. The House defeated a $14 million supplemental aid package in March, leaving the Contras to rely on North and his associates. Alfredo Calero found himself surrounded not only with recommended arms brokers like Secord – who by June 1985 had arranged several large arms shipments – but also willing broker/contribution solicitors like Singlaub.” Walsh also discovered that: “CIA officers in South Korea informed CIA headquarters on January 28, 1985, that retired U.S. Army Major General John K. Singlaub had asked the governing political party to contribute $2 million to the Contras. The Koreans told CIA personnel that some signal from the U.S. Government endorsing the Singlaub request would be necessary.” Walsh obtained a memorandum from Oliver North to Robert McFarlane discussing this issue. Lucien Conein was born in Paris in 1919. Five years later his widowed mother arranged for him to live with her sister in Kansas City, who had married a soldier in the United States Army (he had served in France during the First World War). When the Second World War broke out in 1939 Conein returned to France and joined the French Army. After the German invasion in 1940 Conein returned to the United States. He now joined the U.S. Army but because of his knowledge of France he was transferred to the Office of Strategic Services (OSS). In 1944 he was sent to Vichy France with orders to help the French Resistance attack the German Army during the Allied landings in Normandy. He worked with the Jedburghs, a multinational band directed by the Office of Strategic Services (OSS) and the British Special Operations Executive (SOE). While in France, Conein began working with the Corsican Brotherhood, an underworld organization allied with the resistance. Later Conein was to say: “”When the Sicilians put out a contract, it’s usually limited to the continental United States, or maybe Canada or Mexico. But with the Corsicans, it’s international. They’ll go anywhere. There’s an old Corsican proverb: ‘If you want revenge and you act within 20 years, you’re acting in haste.’ “With the death of Adolf Hitler and the surrender of Germany in April, 1945, Conein was sent to Vietnam where he helped organize attacks against the Japanese Army. At the end of the Second World War, Conein returned to Europe as a member of the OSS. This included organizing the infiltration of spies and saboteurs into those countries in Eastern Europe under the control of the Soviet Union. Conein later joined the Central Intelligence Agency (CIA) and was involved in covert operations in several different countries. In 1951, Gordon Stewart, the CIA chief of espionage in West Germany, sent Conein to establish a base in Nuremberg. The following year Ted Shackley arrived to help Conein with his work. The main purpose of this base was to send agents into Warsaw Pact countries to gather information needed to fight the Soviet Union during the Cold War. The venture was not a great success and the governments in both Poland and Czechoslovakia announced that they had smashed several CIA espionage rings. Later he worked with William Harvey in Berlin. In 1954 Conein was sent to work under General Edward Lansdale in a covert operation against the government of Ho Chi Minh in North Vietnam. The plan was to mount a propaganda campaign to persuade the Vietnamese people in the south not to vote for the communists in the forthcoming elections. In the months that followed they distributed targeted documents that claimed the Vietminh had entered South Vietnam and were killing innocent civilians. The Ho Chi Minh government was also accused of slaying thousands of political opponents in North Vietnam. 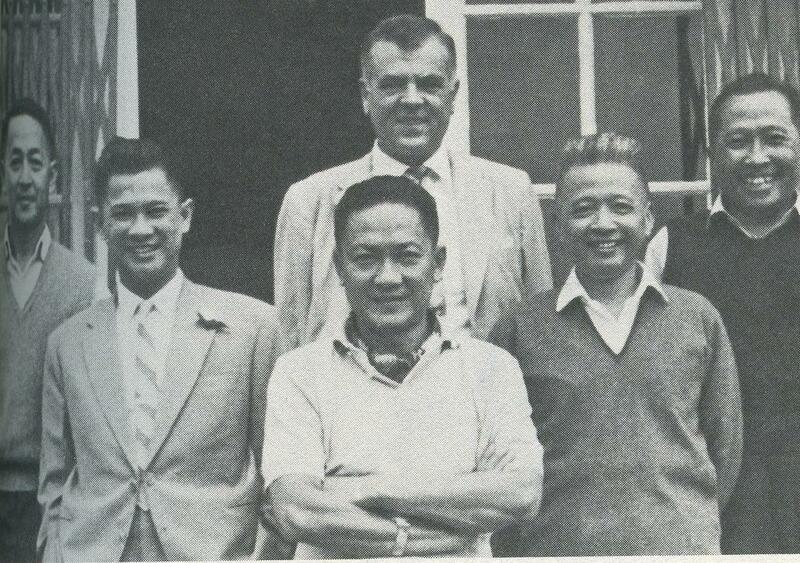 In the late 1950s Conein worked closely with William Colby, the CIA station chief in Saigon. 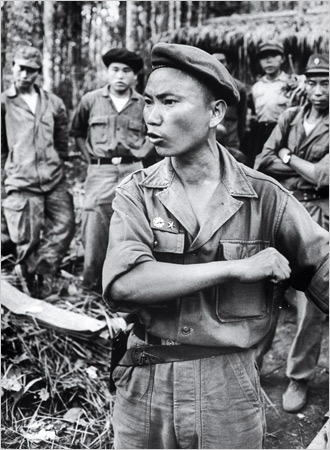 Conein helped to arm and train local tribesmen, mostly the Montagnards, who carried out attacks on the Vietminh. These men also guided Vietnamese Special Forces units who made commando raids into Laos and North Vietnam. President John F. Kennedy eventually became convinced that President Ngo Dinh Diem would never be able to unite the South Vietnamese against communism. Several attempts had already been made to overthrow Diem but Kennedy had always instructed the CIA and the US military forces in Vietnam to protect him. In order to obtain a more popular leader of South Vietnam, Kennedy agreed that the role of the CIA should change. 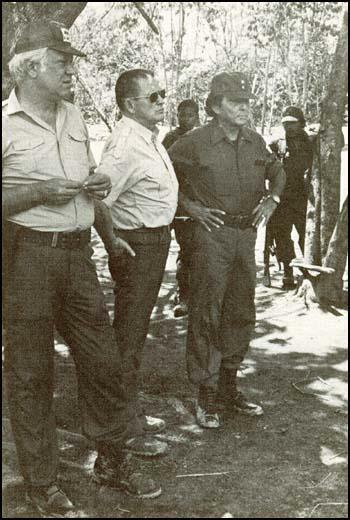 Conein provided a group of South Vietnamese generals with $40,000 to carry out the coup with the promise that US forces would make no attempt to protect Diem. At the beginning of November, 1963, Diem was overthrown by a military coup. After the generals had promised Diem that he would be allowed to leave the country they changed their mind and killed him. Nguyen Van Thieu now became the chairman of a 10-member military directorate. 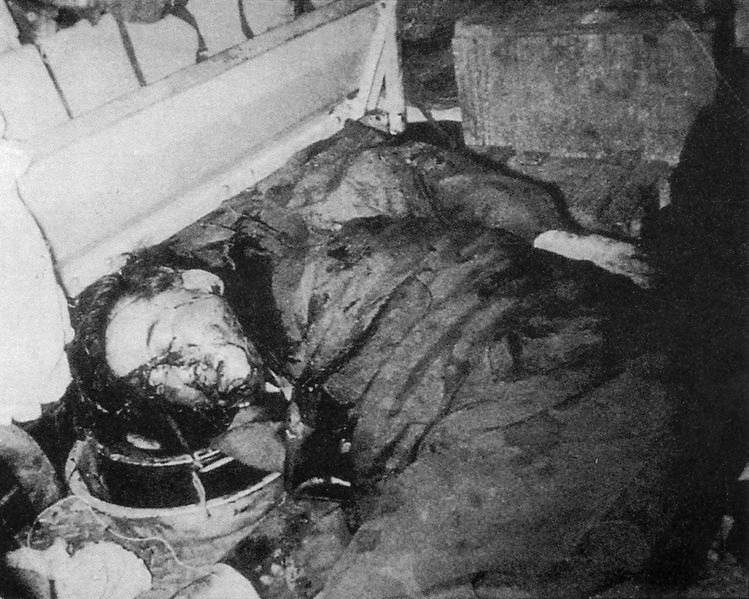 It has been suggested that Conein might have been involved in the assassination of John F. Kennedy. 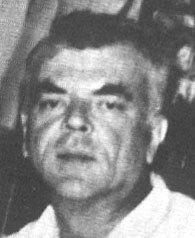 In his book, The Last Investigation (1993), Gaeton Fonzi points out that Conein was closely connected to E. Howard Hunt and Mitchell WerBell, two men suspected of the crime. Joseph Trento has also pointed out that Conein worked with Ted Shackley and William Harvey at the JM/WAVE CIA station in Miami in 1963. Leroy Fletcher Prouty claimed that Conein has been identified as being in Dallas on the day of the assassination. Whereas Ron Ecker and Jack White have suggested that he was standing at the corner of Main and Houston at the time Kennedy was killed. However, Larry Hancock has investigated Conein and believes he never left Vietnam during 1963. Conein left the CIA in 1968 and became a businessman in South Vietnam. In 1970 E. Howard Hunt introduced Conein to President Richard Nixon. Two years later Nixon appointed Conein to the Drug Enforcement Administration, where he directed an intelligence-gathering and operations unit. It has been claimed by William Turner and Warren Hinckle in their book, Deadly Secrets, that this work included “plots to assassinate key international drug figures”. In 1972 E. Howard Hunt considered hiring Conein for the group that bungled the 1972 Watergate burglary at the Democratic National Committee headquarters. Conein later told the historian, Stanley Karnow: “If I’d been involved, we’d have done it right.” Lucien Conein died after a heart attack at Suburban Hospital, Virginia, on 3rd June, 1998. Mitchell Werbell, the son of a former Czarist calvary officer, was born in Philadelphia in 1918. During the Second World War Werbell joined the Office of Strategic Services (OSS) and saw action in Burma and China. According to Gaeton Fonzi, this enabled Werbell to join “the superspy fraternity” that included Allen W. Dulles, William Casey, Richard Helms and E. Howard Hunt. After the war, Werbell lived outside of Atlanta. 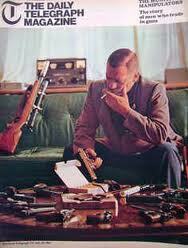 He also worked as an arms dealer. Werbell ran a series of weapon manufacturing and marketing firms including Military Armament Corporation, Defense Services and Quantum Ordnance Bankers. Werbell distributed advanced weaponry to selective foreign groups. 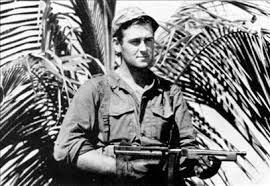 WerBell also did covert work in the Dominican Republic, and Vietnam. 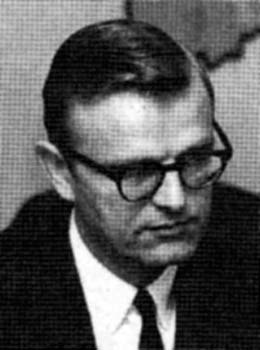 In 1966 WerBell served as adviser on Project Nassau, a planned invasion of Haiti by Cuban and Haitian exiles to oust the dictator Francois “Papa Doc” Duvalier. In 1967 WerBell formed a partnership with Gordon Ingram. Together they distributed the Ingram M-11, a hand-held, quiet machine gun. Six years later WerBell and his arms company, Defense Services, were indicted for allegedly trying to sell some of these Ingram submachine guns to a federal undercover agent. He was also indicted for proposing to sell 2,000 of these weapons to Robert Vesco in Costa Rica. Later, both these charges were dropped. Mitchell Livingston WerBell III died of cancer in 1983. There a some serious mistakes in this article. When discussign Mitchl WerBel and the assassination of JFK, there were no “surpressed” or “silenced” weapons in Dealey Plaza.